Gideon Kelly and Sarah Holtz have been best friends for a while now. They met when they were both on the set for a TV show, where he played her love interest. In order to keep their friendship on the right path, they have both agreed to leave it in the friend zone./ Now, many years later, Sarah is his assistant. She is a recovering alcoholic who blew through her savings and ruined her career. He keeps her sane and gives her purpose. She runs his life and keeps it smooth. Sarah fights her attraction for him. When he is out with other women, jealousy tears at her. She is scared to move forward. She wants to be independent and be able to support herself. Gideon has been in love with her for a while. He even asked her last year to give him a chance. This was followed by a month of silence that he never wants to live through again. Now he is scared to approach the love and friendship borderline. If she rejects him again he has no idea how he will bear the pain. Such a great addition to the Kelly Brothers series. Can be read as a standalone. There are other members of the Kelly family who make an appearance in the book and add to the fun! I loved the easy going friendship and trust they have. I like the mystery weaving through it also. ***This ARC was given by Netgalley.com and its publishers in return for an honest review. This is a brilliant story but with it being the last in the seris of 8 it would of been nice to have an update on the lifes of all the others. I've only read book six of the the series, so I can't really compare it to most of the series. I liked Gideon and Sarah's relationship, both as best friends and eventually as lovers. Gideon is a really sweet guy and I loved that he did not give up on Sarah. Gabe played a big part in their story and I hope we get to see a HEA for him. I'm deducting points only because the ending seemed rushed to me. Overall a really good story that can be read in a few hours. I received an ARC for the purpose of an honest review. I was not compensated for this review, all conclusions are my own. The seventh and last of the Kelly brothers book. Enjoyed them all shame there aren't more but will try some more by this author. That one person you can count on above all else. That one person you can count on above all else. 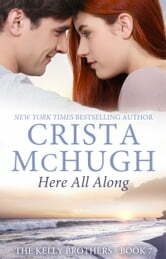 Crista McHugh has written a lovely novel about just that. 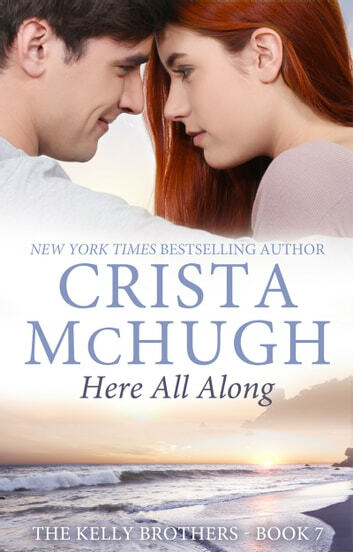 Here all Along is the story of two friends as they travel that risky road to love. Many road bumps have to be overcome. The bright lights of stardom, layers of insecurities, mistrust and an enduring friendship all factor into the outcome of this story. All of these things combined are what made Here All Along a mesmerizing look at all that love entails. I received an ARC in exchange for an honest review.